Sometimes I don’t speak nicely to people. I am short with them. Angry really. Normally it isn’t their fault. Maybe they will do something that will set me off but it’s my responsibility to control my temper, not theirs. The thing is I know that when I behave this way I don’t look a lot like Jesus. And that makes me sad. Today, when I snapped it was at a person who I know is going through a rough time, a person who has a husband in hospital. A person I should be able to relate to, rather than be rude too. On my drive home I kept thinking about how I behaved and what I could do to change. 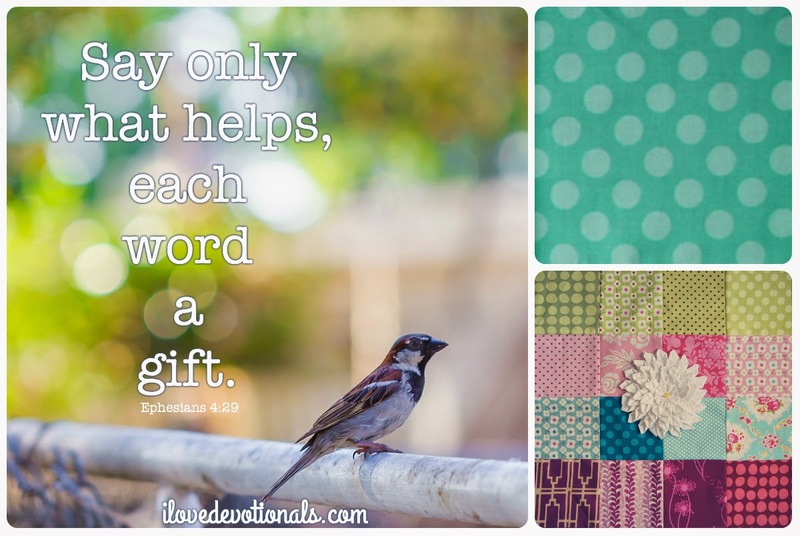 I remembered the phrase, “Each word a gift” and went hunting through my bible to see where I’d read it. Ephesians 4:29 in The Message: “Watch the way you talk. Let nothing foul or dirty come out of your mouth. Say only what helps, each word a gift." When was the last time I thought about how every syllable I utter is a present for someone else, that every time I open my mouth it can sound like cheering someone else on? 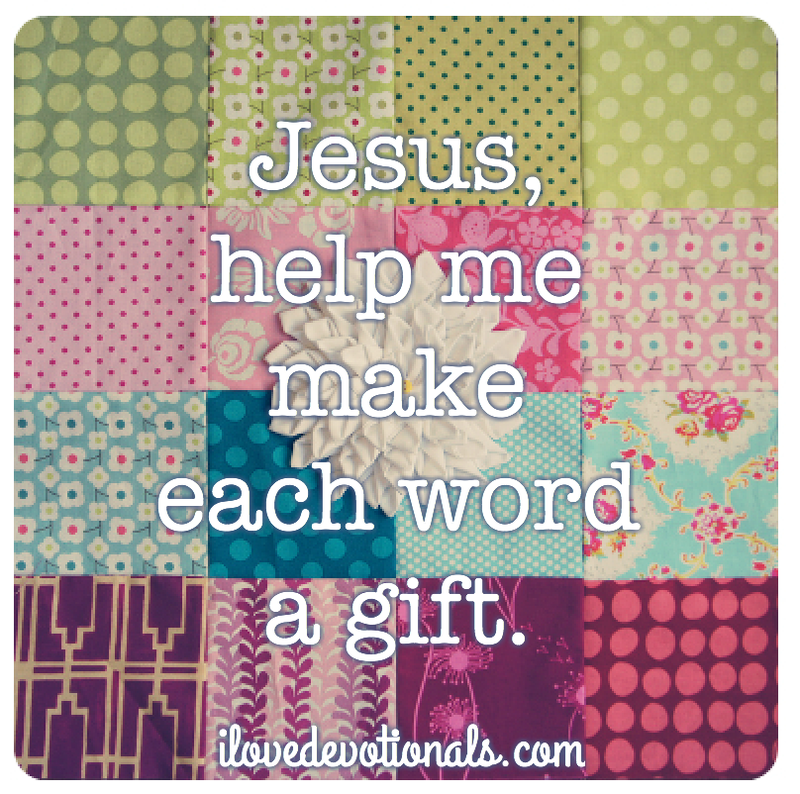 And I haven’t figured out how to go from blowing a fuse to speaking politely but I do know I’m going to be praying that God will help me to weigh each word and to remember that every time I open my mouth I can give someone a gift. Ponder: What has helped you to control your tongue. I’d love you to share your tips in the comments.